The new point of entry for the Nashville Zoo at Grassmere reinvents the visitor experience from the start and provides the proverbial “icing on the cake” to their day at the Zoo filled with discovery and adventure. A plaza inspired by African-lodges serves as home to the new Zawadi Market specialty store and marketplace. 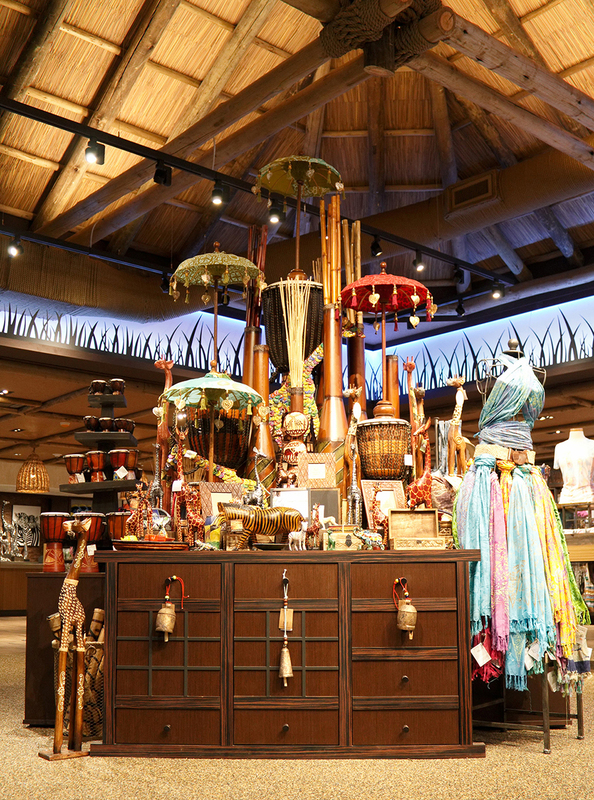 The area, themed as an African-village with thatched-roofed buildings featuring waterfalls, also features an outdoor deck marketplace with shoppable hut-like kiosks adjacent to the store. The store’s overall character bespeaks an African influence and reflects the building’s personality. Extending the outside look and feel to the interior, vaulted ceilings with roped wood timbers are custom-finished to emulate the roof lines and provide an openness to the space.